Gionee has introduced Gionee M6S Plus smartphone in China which comes with 6-inch Display, Snapdragon 653 Processor. Oppo F3 Plus also comes with similar Specifications. Check out Price, Specs, features comparison between Gionee M6S Plus and Oppo F3 Plus. Gionee M6S Plus has a 6GB LPDDR3 RAM and 64GB/256GB Internal Storage, expandable up to 256GB via micro SD card whereas Oppo F3 Plus comes with a 4GB of RAM and 64GB Internal Storage, expandable memory up to 256GB via micro SD card. On Camera, M6S Plus has a 12MP rear camera with dual-tone LED flash, PDAF, and 8MP front camera compared to 16MP front-facing camera with 76.4-degree wide-angle lens, 1/3.1-inch sensor, f/2.0 aperture + 8MP front camera with 120-degree wide-angle lens and 16MP rear camera with f/1.7 aperture, 6P lens, dual-tone LED Flash, OIS, 4K video recording on Oppo F3 Plus. OPPO F3 Plus comes in Gold and Black colors and is priced at Rs. 30,990.Gionee M6S Plus comes in Black color priced at 3499 Yaun for 64GB model and 4299 Yuan for 256GB ROM model. 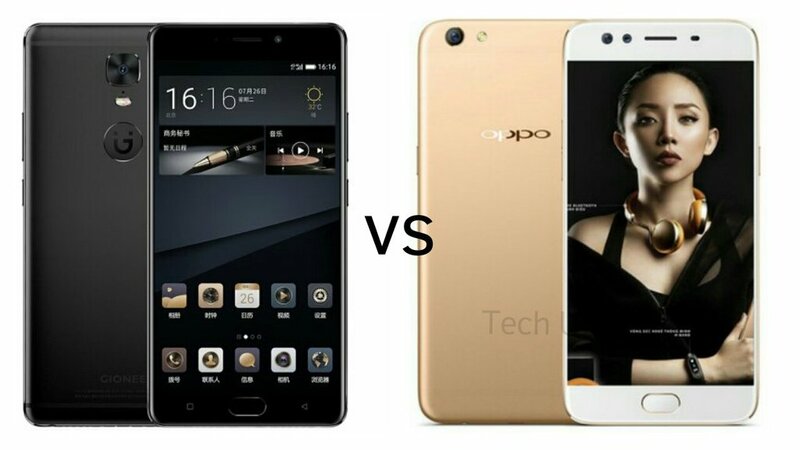 Gionee M6S Plus has a bigger battery and 6GB RAM whereas Oppo F3 Plus has a Dual front facing camera.